Why extra appointments are so important. If you’re diagnosed with gum disease, know that you’re not alone. It’s estimated that half of all adults in the US are affected by some form of the condition (which can also go by names like gingivitis, periodontal disease, and periodontitis). As your care proceeds, you’ll learn that ongoing appointments are an important part of periodontal treatment. 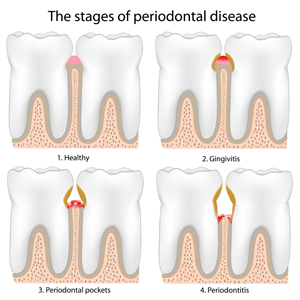 Periodontal treatment is ongoing because the disease process is ongoing. Periodontitis has a nasty habit of recurring, even with the most careful at-home brushing and flossing. Additional appointments allow us to stay on top of the problem by containing the bacterial infection and preventing disease from cropping up elsewhere. Every case is different—treatment times vary depending on the severity of infection and response to treatment. Only a consultation with a dentist can determine your individual treatment plan, so if you have signs of periodontal disease (bleeding, swollen, painful gums), please contact us at (518) 273-0089. If you’ve already taken that first step of becoming a patient, then keep up the good work! Do your best to make it to your next appointment. 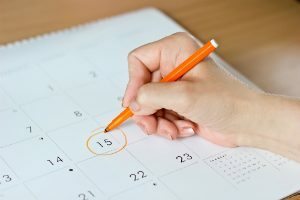 If something comes up, make sure to reschedule rather than canceling. We will, of course, try to work around the demands of job and family. We’re here to make sure your teeth and gums stay healthy!